The weather's changing from warm to cold, and you're on your toes looking for good autumn and winter essentials for your bubs. Rest your feet from hopping shops any more and head to Mothercare's new store in South City to find all your requirements under one hood. Parents-to-be or new parents, here's something to ease your worry (at least by a measure) and make you happy. 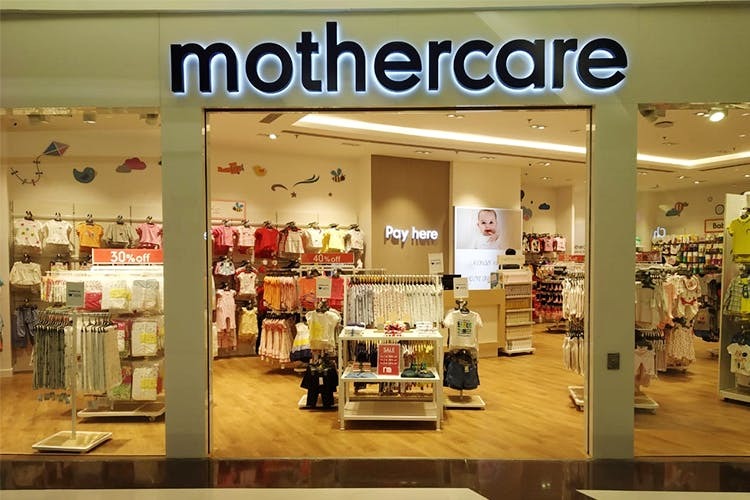 UK's favourite baby and parenting brand Mothercare has a new sprawling store in South City Mall, and it has all the essentials that you may need. Mommy to her minikins, toddlers and young kids, this store promises to take care of each of them, like it has been doing since 1961. The quick weather change has got you worried for your little bundle and toddler? Mothercare's got an amazing range of Autumn/Winter collection of new born' clothing and onesies to sleeved and sleeveless jackets for young kids (upto 8 years old) that'll keep your munchkins warm and cute. The collection is suited to fit almost every kind of budget, starting from INR 399 and goes up to INR 2499. For the mommy, there are, of course, maternity clothing and nursing furniture to indulge in. Mothercare's pushchairs, toys, bathing essentials and travel equipment are something to reckon with, too. Keeping up with the season, Mothercare also has exciting new festive offers to wow you!